OK by now we all know about Pride & Prejudice & Zombies and Sense & Sensibility & Sea Monsters which are reviewed over at Tor.com today. But they also mention Mansfield Park & Mummies and I also uncovered Emma and the Werewolves. Full titles by the way are Mansfield Park and Mummies: Monster Mayhem, Matrimony, Ancient Curses, True Love, and Other Dire Delights and Emma and the Werewolves: Jane Austen's Classic Novel with Blood-curdling Lycanthropy. Both were released last month. 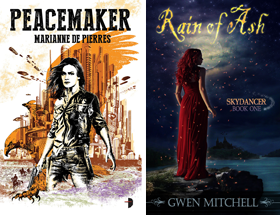 Here are the covers for your perusal. Also coming in March 2010 is Dawn of the Dreadfuls in the Pride Prejudice and Zombies vein. Have you read any of these pastiches? Liked them? Want to read them? I love Jane Austen and I love zombies, so P&P&Z should have been a no-brainer. But I couldn't make it past the first half. My favorite aspect of Austen is the dialogue and some of those classic interchanges were butchered or summarized in a paragraph to make room for the zombie subplot. I'll be sticking with pure Austen from now on. Do not want to read. Will not spend $ to further the abasement of great novels. It is pitiful that the way Hollywood is making movies lately has infiltrated into publishing. I have a copy of Pride, Prejudice, and Zombies, but I haven't read it yet. I'd like to get all of the new Jane Austen. :) Plus, I just heard this morning that PPZ is going to be made into a movie. I like the concept though I fear this little take on horror/fantasy is going to be milked for all it's worth. Hahaha! Just noticed you labeled this post under "Bad ideas". Too true. 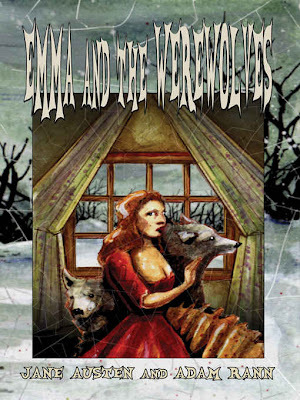 As an aside, the cover for Emma and the Werewolves is atrocious. I really cannot wait to see the one for the Little Women and Werewolves book though. Just wanna look at the cover. I loved both PP&Z and SS&S. Can't wait for the PP&Z movie! KAKARI I admit I've never read Austen at all. Abigail I get the sense the whole UF adaptation of classics is kind of like a pet rock phenomenon. RK I agree about the covers. Fun stuff that. Heather the book, the movie. What's next - the action figures? Sean milking - that's it! The whole thing is a dairy conspiracy! KMont I' want to see the cover for Little Vampire Women. TexasRed I suspect the movie may have more going for it than the book. VVB I admire your fortitude. Janicu with you all the way.